By The Fireplace combines smoky and woody accords with the subtle sweetness of chestnut to evoke a familiar but forgotten moment—the warmth of a cozy fireplace in midwinter. The ‘REPLICA’ collection’s first feminine and masculine fragrance, this warm fragrance blends notes of smoky woods and grilled chestnuts. The frosted top note contrasts with the warmer heart for a soft, enveloping, and addictive experience. The scent subtly evolves on the skin to offer winter’s hot and cold contrast; outside it is snowing on a frosty, shivery landscape, but inside the flames of a comforting fire crackle with glowing warmth. 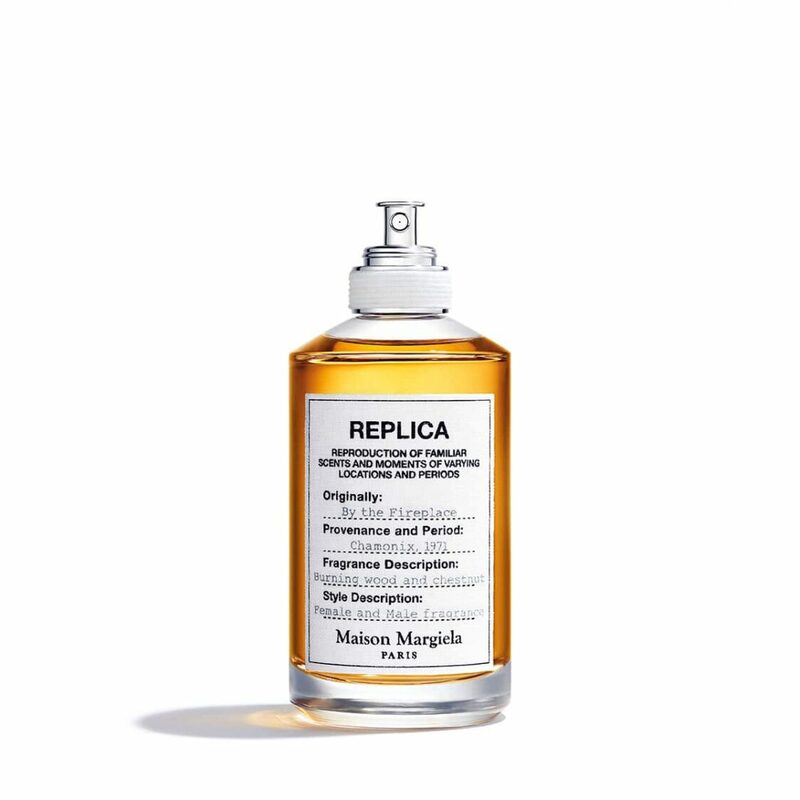 The silhouette of each 'REPLICA' bottle is inspired by classic apothecary jars, allowing the collection to be instantly identifiable. Each bottle carries a 100 percent cotton label, which is printed using black ink text and resembles the tags used on the clothing and accessories for the 'REPLICA' couture collection. The unique pumps are wrapped with a rope to symbolize the authentic reproduction of the original 'REPLICA' couture line.